What's the big deal about preschool? As the administrator of a public school for young children, I’ve been the recipient of many questions regarding early childhood education. Friends and neighbors, acquaintances, and even total strangers have asked, “What’s the big deal about preschool?” “Isn’t preschool just free babysitting for parents?” Rather than taking offense, I’ve learned that most people are honestly curious about the purpose of early learning programs and also little skeptical about using taxpayer funding to provide it for all children. Interestingly, the same people who’ve considered publicly-funded early childhood programs as “free babysitting” happily enroll their own children and grandchildren in private preschool programs, and some pay pretty hefty fees for the privilege. Many of these folks are college educated and have homes full of educational toys, books and other items needed to teach their children early academic skills at home. Why then, do these smart people pay others to teach their kids? Why did my husband and I do it, too? I never harbored any illusions that my daughters were going to become professional dancers or soccer stars. So, why bother with the lessons? Because it was great for my kids’ physical and social development to take part in these activities and because it was fun! My girls developed their muscles and became stronger and faster. They built stamina to keep moving longer. They became more flexible and coordinated so that they were able to control their limbs to propel a ball effectively and follow a routine to music. My girls also learned to share the ball and take turns with teammates, to be content with being in the back row of the dance instead of always being the center of attention and to learn that it's important to keep trying, even when something is hard. My daughters learned self-control as they waited for the whistle for permission to run the drill and to delayed talking to others until the dance was over. They learned that following their coach's directions carefully paid dividends in goals scored. They learned how to exchange names with a new friend and how to comfort another child who was having a bad day. They enjoyed the sweet sound of applause for a job that was truly well done. Likewise, my daughters gained incredible skills by attending preschool. Some of their gains were academic - writing their names with precision, identifying letters, counting and recognizing numerals, sorting objects by attributes, and learning how to track print in a book. Other skills are related to physical development. My daughters learned to control their small muscles to cut out shapes and to paint a beautiful picture. Although these are lessons I could have taught them myself and in fact did teach them before attending preschool, preschool still proved valuable. Some gains are those concrete, academic skills, but others are more intangible and require interpersonal or group interaction. At preschool, my girls learned to focus on instruction for the entire lesson. They also developed flexibility of thinking, allowing them to take baby steps toward true understanding and empathy for others. They learned to express themselves through drawing and “writing.” They learned that one teacher and ten children meant that the teacher couldn't be at their beck and call, but if they kept trying, the teacher would be there to give them the support they truly needed. My girls learned that everyone has different strengths and allowing others to shine didn’t diminish them at all. They developed a love of learning that has propelled them through school toward big career goals. Preschool provides rich opportunities for children to grow academically, physically and socially. We should ensure that all children have access to quality early childhood programs. Why do you see early education as valuable? Do you have a story like Susan's to share? What do you want the future of early education in Indiana to look like? Share your thoughts in the comments below, and on social media using #AmGradIndy. Susan Bryant is principal of Liberty Early Elementary in Decatur Township. Liberty serves preschool and kindergarten students. Susan Bryant is the mother of two rather exceptional young adults. 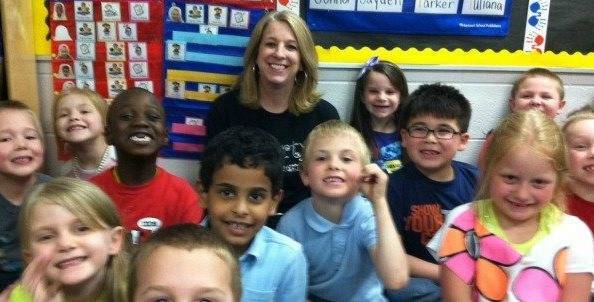 Her passion is early learning and she has been an early childhood educator for more than 25 years. She has served as the principal of Liberty Early Elementary in the MSD of Decatur Township Schools since 2001.